There have been so many Poker News Stories of the Week so we have summed them all up in one article for your convenience. 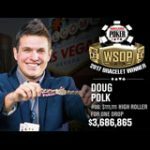 The most interesting story of the week would be that a WSOP bracelet can be won online by playing on the Nevada regulated poker software. Next up Phil Ivey wins the Aussie Millions $250,000 Challenge for the third time in just four years. PokerStars Pro Vanessa Rousso has mysteriously disappeared from the pro rooster with no mention of the split from either party. 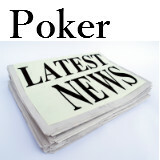 Check out the latest poker news stories of the week from around the web summed up in one article. 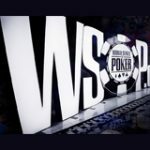 Players based in Nevada can play a new hybrid poker tournament where they can play an online poker tournament, the final two players will complete their heads-up match live at the World Series of Poker in Event 64. 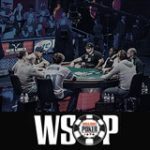 This is the first-time the WSOP have introduced a mix of online poker and live poker, it's a great concept to promote their online poker site which offers legal online poker in Nevada. 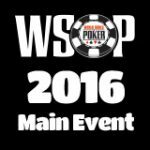 The $1,000 buy-in event starts online and will be completed in a live poker tournament at the 2015 WSOP. The WSOP online poker software is compatible with most gaming platforms including PC and mobile devices. Phil Ivey does it again in Australia, this week Ivey won the 2015 Aussie Millions LK Boutique $250,000 Challenge. 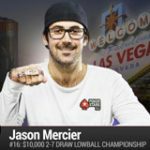 This is the third time the World renowned poker pro has defended his title in the last four years and took home AUD$2,205,000 for the first place prize. Phil Ivey defeated a tough field of 25 pro players to capture the title with a back-to-back win. With no announcement made at the time of posting this article the PokerStars Pro Vanessa Rousso no longer appears on the Team PokerStars list of sponsored pros. 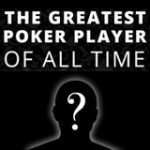 After checking all the social media profiles of both PokerStars and Vanessa Rousso there is no mention that she has parted ways with the World largest poker site. This would be the 2nd female poker player to leave Team PokerStars in recent times. Shortly after introducing PokerStars Casino, Vicky Coren decided to leave Team PokerStars as she would no endorse a brand that offered online casino games.